Allison from Tips for Family Trips wrote an awesome guest post on Pitstops for Kids about hiking with kids in Utah that I just had to share with you! I use two criteria for determining whether a hike is family-friendly. First, the hike must be easy enough for a preschooler to walk on his own. My five-year-old has walked nearly all of these trails in the past two years. Second, the hike must be worthwhile for everyone in the family. If I’m going to spend the time and money to travel to a national park, I want to see what makes it special. Knowing that her criteria fits my own, I just may have to change my tune and give hiking a try… provided I stick to this list! If you are planning a visit to any of the national parks in Utah, I highly recommend checking out Allison’s list of trails, and gorgeous photos before you go! 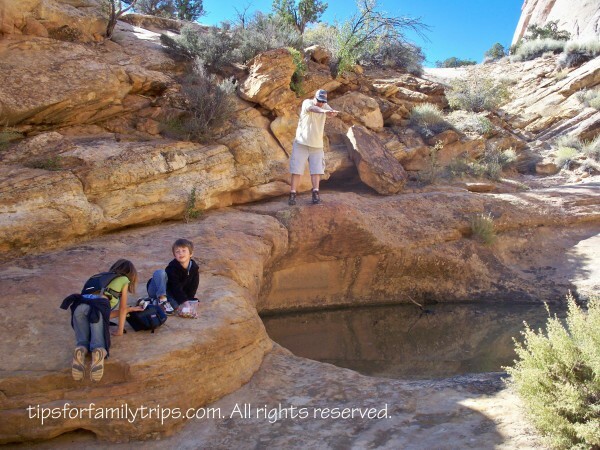 Top 10 family hiking trails in Utah | Pitstops for Kids. I was very pleased to find this web-site. I wished to thank you for your time for this wondrous read!! I definitely enjoyed every little bit of it and I have you bookmarked to investigate new stuff your site. I came upon your blog on google and check out a few of your early articles. Stay with the very good posts. Ill likely be by again to read more, thanks for the info!.